Lupita Nyong’o made the sojourn to her homeland of Kenya this week. All in the name of preserving the real-life “Dumbo’s” of her country from poaching. The Academy-Award winner was named the global ambassador for the Wild Aid org that protects against endangered animals. Elephants (sadly) are on that list because of their ivory tusks. Poachers kill the gentle giants, illegally I might add, to strip them of their ivory then sell them to the highest bidder. 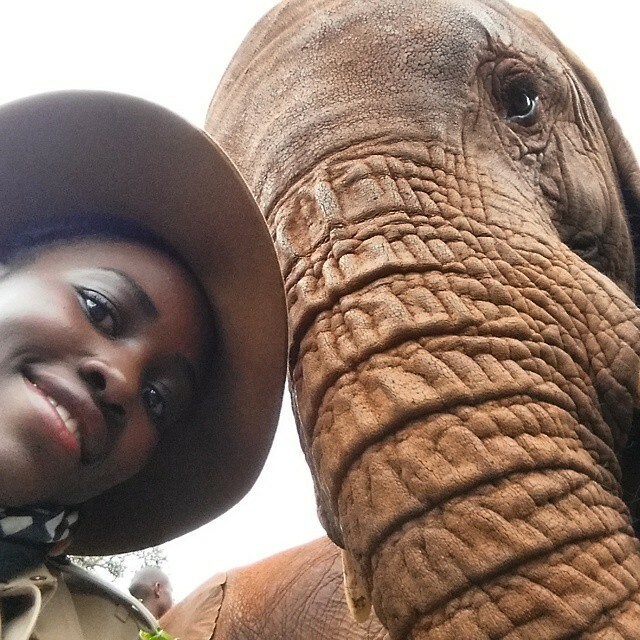 Lupita is using her newfound fame to put a stop to elephants extinction, any creative way (the pic above is an #elfiselfie) she can. During a press conference, Lupita described the time spent studying the animal’s habits and their value. She shared, elephants would likely live 65 to 75 years if not for being poached and their economic networth is set at $1 million tourism dollars. Now that we know the scale of the problem the “12 Years a Slave” star recommends supporting local elephant advocacy orgs that campaign against poaching. And influence govt officials–mainly in Asia and the US where ivory tusks are sold–to do more to protect elephants. 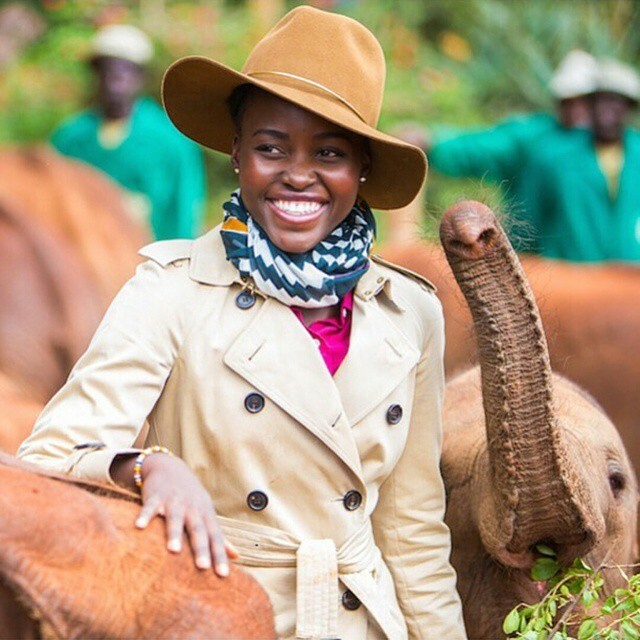 If Lupita’s words don’t convince you maybe the hilarious elephant compilation video below will.